A “home” is more than a house, yard, or structure; it’s a feeling. And your experience of “coming home” is indelibly shaped by the other people who share that common address. If you had a good childhood, arriving home was probably an experience. The smell of food simmering on the stove. The sound of a yappy dog. The mess of your bedroom. Depending on the number of siblings, your arrival home was either calm or chaotic. If you had a bad childhood, arriving home was an altogether different experience. Maybe your arrival was marked by the sounds of argument, stomach knots from anxiety and tension, or worse yet – the haunting sounds of silence and isolation. If that was your experience with “home,” I offer my sincerest apologies and wishes for a more functional future. As you know, Saturday’s matchup against Tulane was this season’s Homecoming game. UC alums from across the nation traveled back to their Clifton roots, recalling what “coming home” meant at 18 years of age. The not-so-hypnotic lava lamp on a card table. Animal House poster above the decaying fireplace. Stale beer and dirty dishes marinating in the kitchen. No doubt folks reminisced about old dorms, old bars, and old friends. You see, home looks different in Clifton than it did 30, 20, 10, or even one year ago. And the mood on UC’s 199 year old campus feels different than last season. Way different. Well, the turnaround appears self-evidently underway. Compared to the on-field dysfunction of 2016, Fickell’s team of coaches seems squared away. Compared to last year’s 4-8 team, this 2018 team is a revelation. UC is 6-0 headed into the bye week this week, and a cadre of young players lead the way. RS Freshman QB Desmond Ridder has already thrown for over 1,000 yards (82 of 125 for 1,062 yards), 10 touchdowns, and only 2 interceptions. Ridder has also rushed for 315 yards, adding 4 more touchdowns with his legs. Speaking of running the ball, Sophomore RB Michael Warren II has 124 carries for 664 yards and 11 touchdowns. He’s the first running back since Isaiah Pead to rush for over a 100 yards in three consecutive games. More than wins and statistics, though, football is fun again. The positivity and support for the Bearcats on Saturday, inside Nippert Stadium and out, is returning. The momentum (and joy) I observed in 2009 hasn’t returned just yet, but the energy is finally building around a UC team once again ranked in the Top 25 in both the Associated Press and Coaches Poll. For those of you who made it back to Nippert Stadium for Homecoming on Saturday, I hope it felt like you were “coming home.” I hope you relived past stories and connected with old friends. 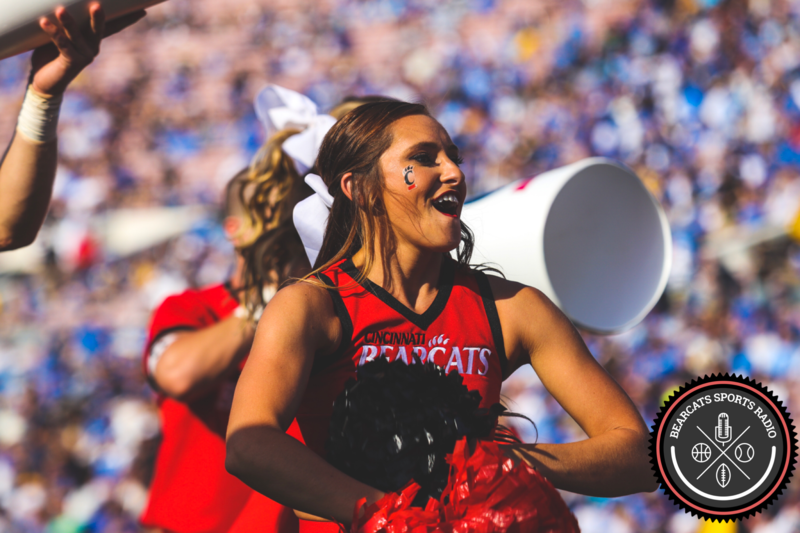 But way more than that, I hope you caught a glimpse of what might be returning to the University of Cincinnati – a football program inching its way back to national prominence, a football program that desperately needs your positive energy going forward. So go ahead and mark your calendars for the Navy game (November 3rd), #23 ranked USF (November 10th), and the home finale against ECU (November 23rd). Come home; let’s make Nippert the best place for our guys to play and the worst place for opponents.